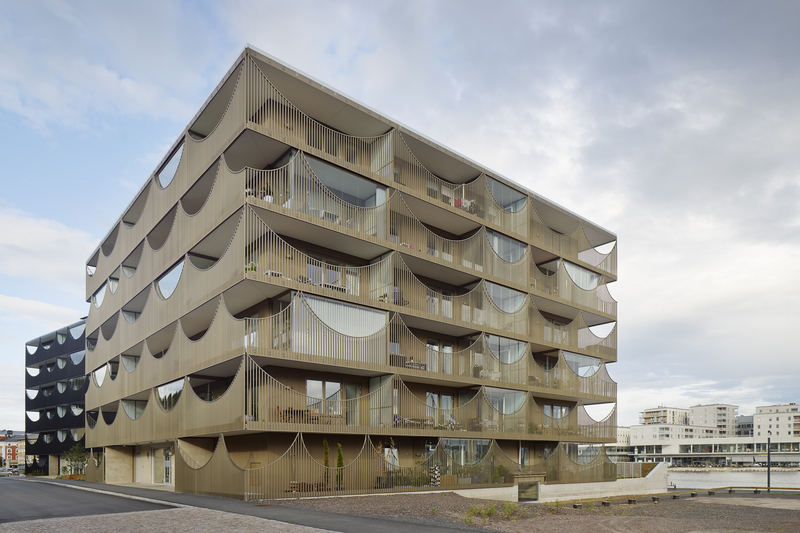 Located approximately halfway between Stockholm and Copenhagen, the city of Jönköping is situated at the southern end of Sweden’s second largest lake, Vättern. 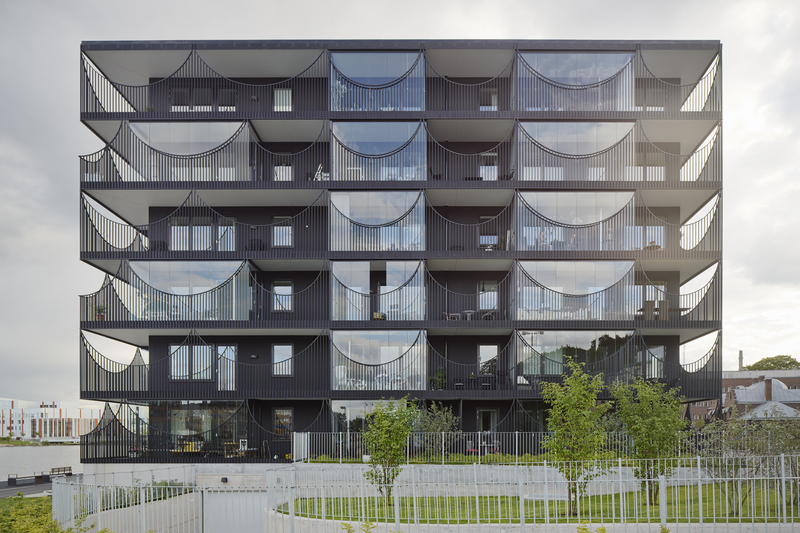 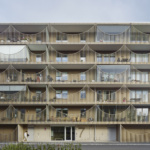 Swedish architects Tham & Videgård Arkitekter designed two urban housing blocks that aim to balance private domestic interiors and a vast landscape with a screened balcony threshold. 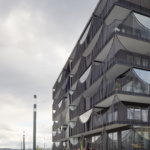 Titled Västra Kajen, which literally translates to West Quay, the waterfront project is the result of an invited competition from nearly 10 years ago. 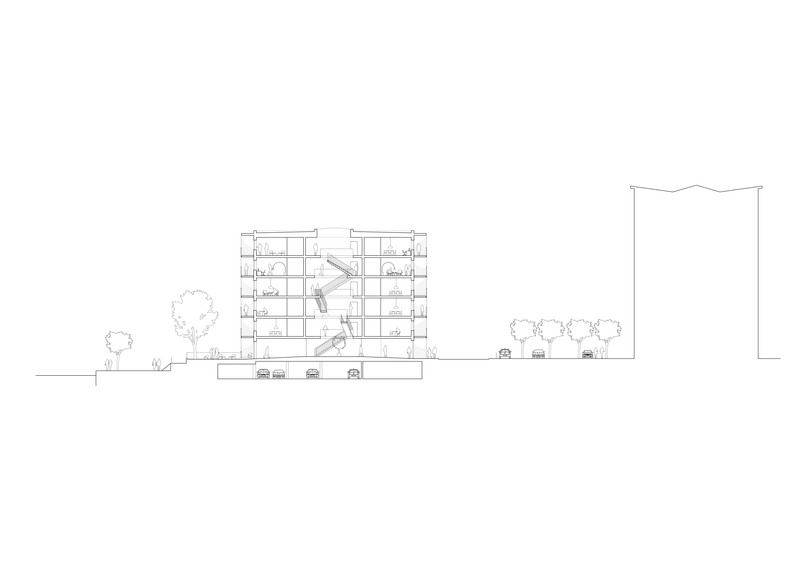 Rather than a row of standard housing “slabs,” the apartment units were assembled into two compact volumes. 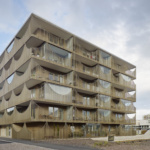 The architects say these buildings urbanistically help to establish a “solid position” that is proportionally acceptable both to the city as well as the adjacent lake, while minimizing the building envelope area for their ambitions to minimize building energy usage. 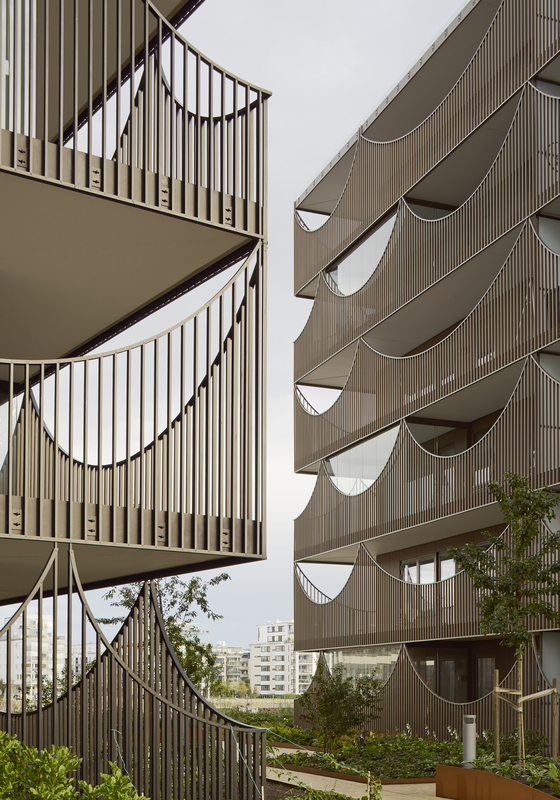 An outer layer of terraces surrounds the perimeter of both buildings, providing every unit with a generous portion of outdoor space. 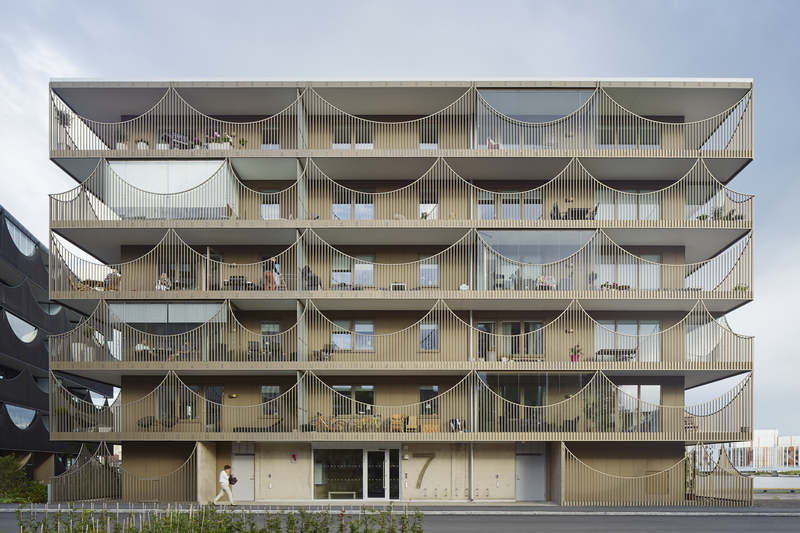 These balconies are contained within a transparent screen of anodized aluminum that diffuses daylight. 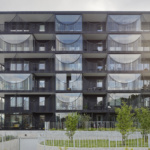 The system is composed of arched shapes that create alternating open and filtered views, offering a buffer zone between the intimate domestic interior of the apartments and the vast scale of the landscape outside. 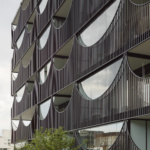 By shifting the voids in the screen every second level, a characteristic pattern emerges that unites the six floors into one distinct cubical volume. 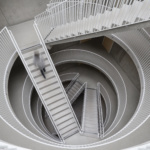 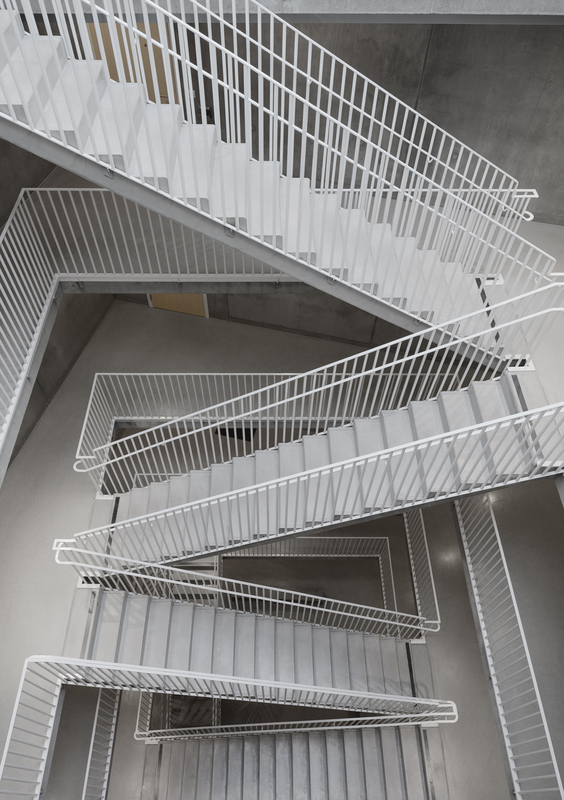 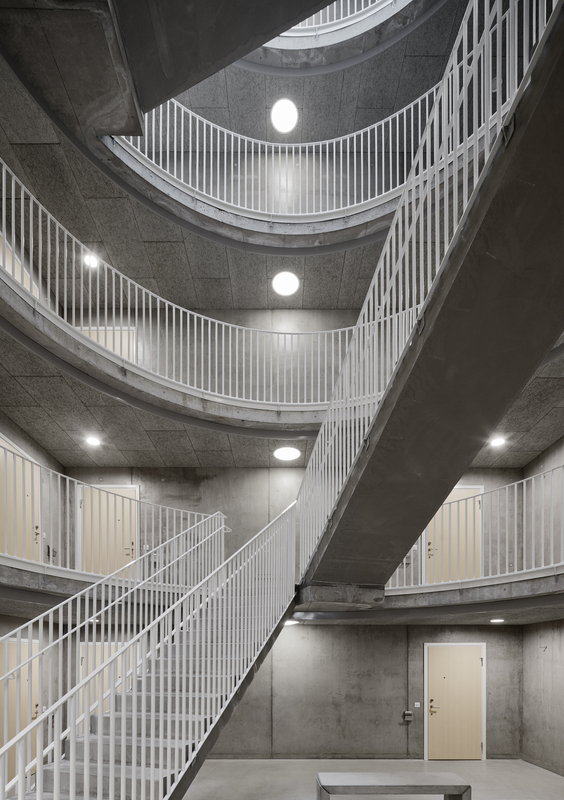 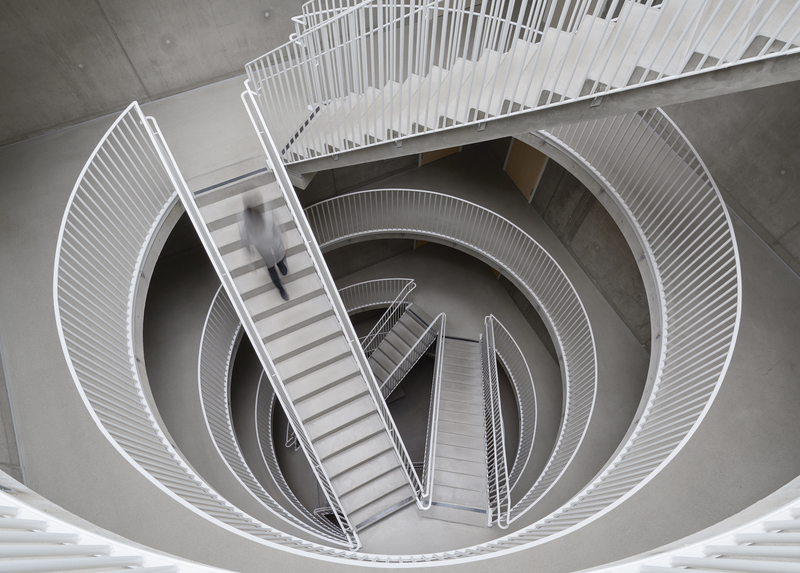 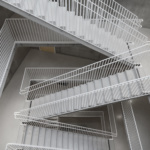 Both apartments are organized around a large vertical atrium with a top-lit stairwell to delineate a central social space that doubles as a circulation stairwell for the units. 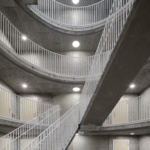 This atrium hall naturally preheats fresh air, contributing to overall energy efficiency of the building. 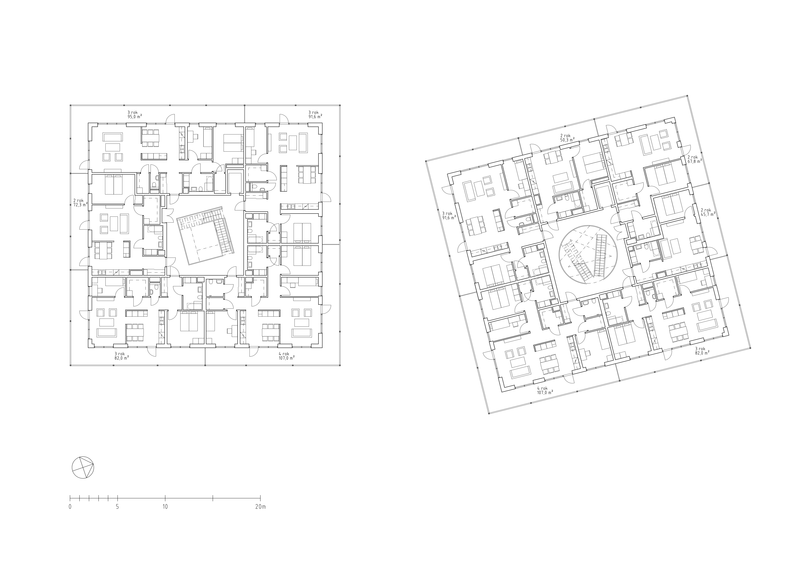 Notably, the majority of the apartments are located at corners of the building, benefiting from good views and light. 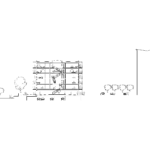 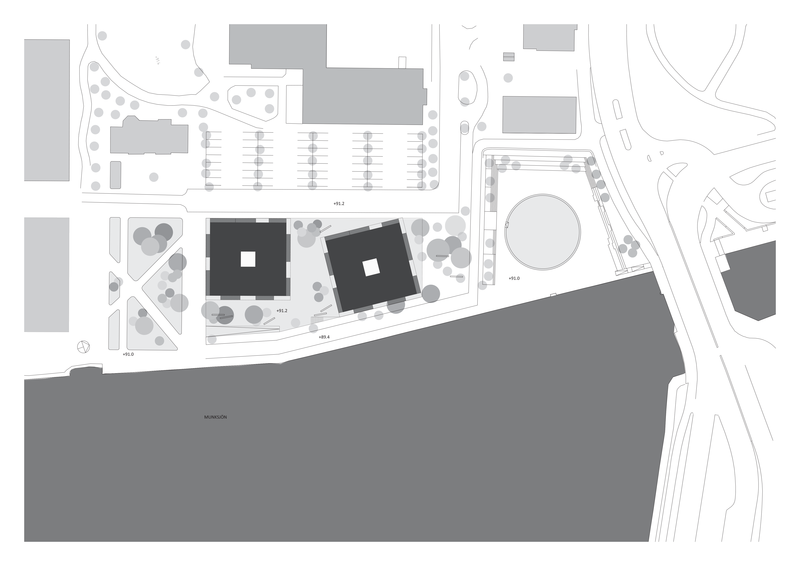 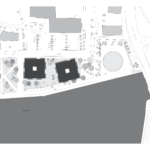 The two buildings are set at an offset angle to one another, to deliberately open up the inward facing sides to further prioritize daylight and views. 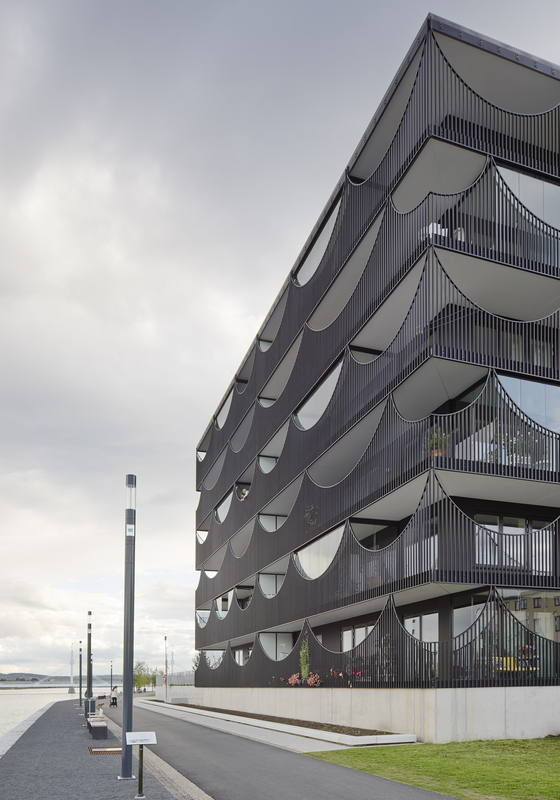 The angle is determined by the geometry of the property, which accommodates a road that follows the edge of Lake Munksjön, a smaller body of water that taps into Lake Vättern by means of a harbor canal. 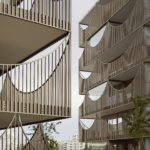 While both six-story buildings are detailed similarly, subtle differences add variation to the project. 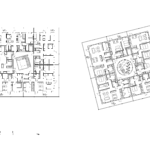 This begins with the orientation to the siting of the building but extends to the interior geometry of their atria—a square cube volume in one building and a cylindrical volume in the second building. 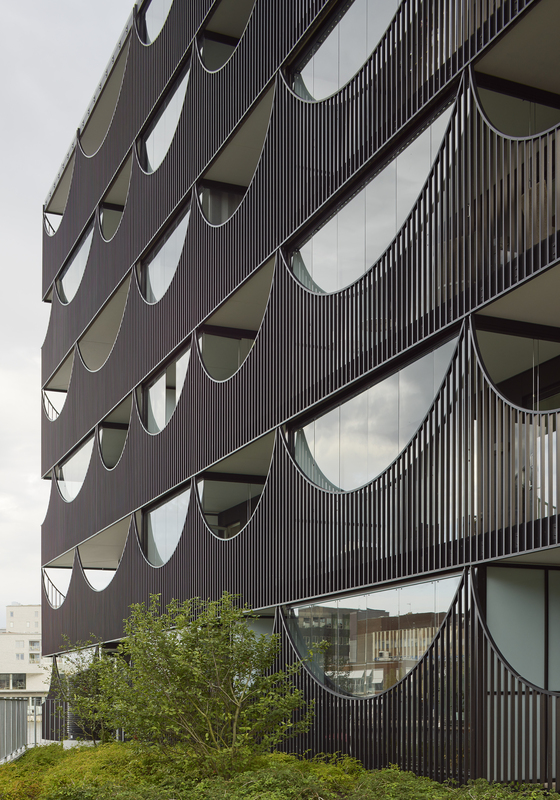 The aluminum screen and trim details further delineate the two buildings, finished in a dark and light anodized bronze color scheme.